We can all recognize the fact that an Abarth version of any of the Fiat models is a model we want more than the rest. The Abarth name carries more than just the scorpion logo, it brings in a spirit, a style, and a drive to be faster, offers more power, and give you a more dynamic drive when you take the vehicle out on the road. Whether you choose the Fiat 124 Spider Abarth model or the Fiat 500 Abarth as the model you want to enjoy, this name came from a person that offered a vision for the brand. 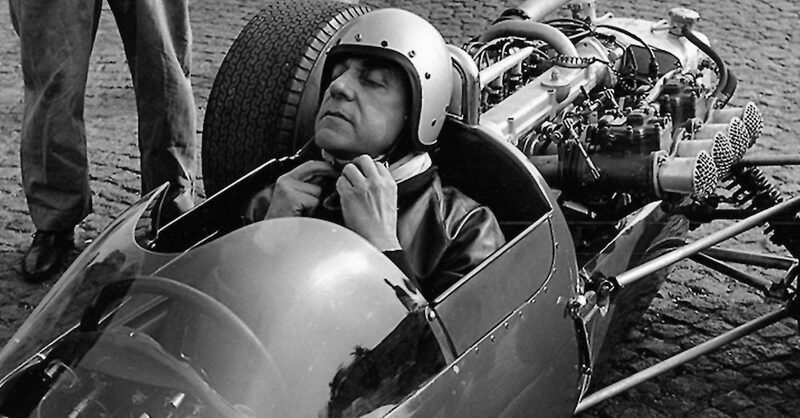 Karl Abarth is a man that was on one serious mission in his life and that was to be able to go faster than he did the day before. With this goal in mind, he was driven to win more and continue to embody the spirit of what we see in the Fiat Abarth models by pushing limits. Born in Australia, Karl Abarth made a name for himself in mechanics and marketing with the designs he created for motorbikes. Eventually, he partnered with Fiat to bring signature vehicles to market and create some of the most iconic models for the brand including the Fiat 500. Whether you choose the Fiat 500 Abarth or the Fiat 124 Spider Abarth for the drive you want to enjoy on the road or on the track, you’re going to have a car that has the amazing qualities you want for the drive. The Fiat 500 Abarth has signature red accents for the bucket seats, engine cover, brake calipers, and mirror caps to go with the red Abarth stripe down the sides of the car that you want to drive. Move to the sporty style of the Fiat 124 Spider Abarth Roadster and you’re going to have the glorious drive you want in a car that has the looks and the items that you want when you head out on the road. This car is adorned in more chrome, has more power under the hood, and brings you an excellent six-speed manual transmission with a short throw shifter to ensure you have the drive you’ve been looking for. Get behind the wheel and you might just feel the presence of Karl Abarth sitting next to you urging you to push this car faster. When you purchase one of the Fiat Abarth models as the one that you want to experience driving on the roads and tracks in your area, you’ll be able to enjoy the experience of a one-day driving course at the Bondurant Racing School. This racing school is located in Arizona and the experience is taught by racing professionals that can show you how to have the most fun in the Fiat Abarth model that you love to drive and experience. Visit your nearby Fiat dealership and ask for the Abarth model that will give you the drive you need.